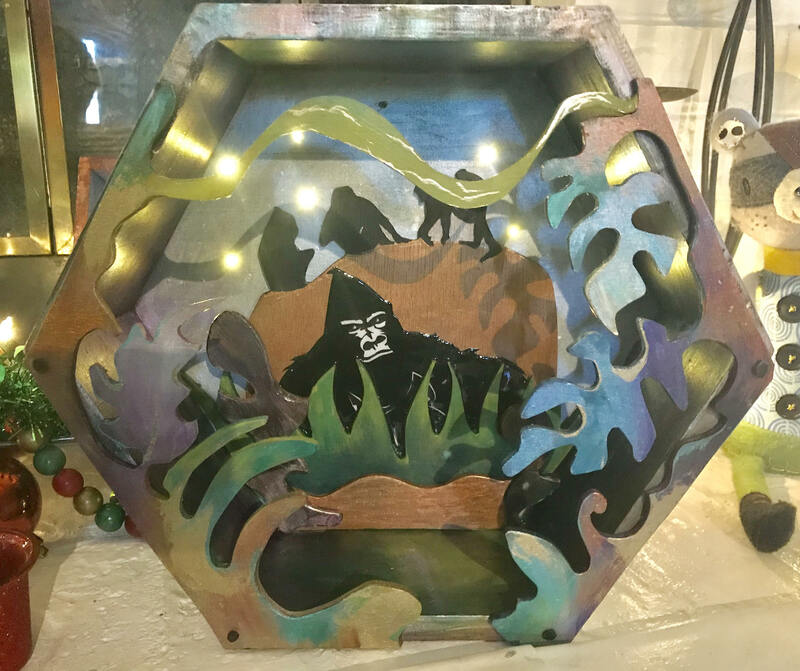 Light Up Fantasy Jungle Gorilla Shadowbox - handmade 3D Wood Art that lights up! Light up your heart with these adorable home accents! Ready to hang. Easy access to LED battery pack, with an on and off switch.